What started with only 15 participants in 1897, now has over 30,000 participants running in the Boston Marathon! When people think of the Boston Marathon, they often recall that fateful day six years ago when two pressure cooker bombs detonated near the finish line. This killed three people and injured several hundred more. We’ll never forget that tragic day. The strong survivors showed the world that nothing can knock them down. The Boston Marathon began back in 1897. Inspired by a race in the 1986 Summer Olympics. It’s a 26.2-mile long race held annually on Patriot’s Day, which is the third Monday in April. It ranks as the world’s best road racing event. The course runs from Hopkinton in Southern Middlesex County to Copley Square in Boston. 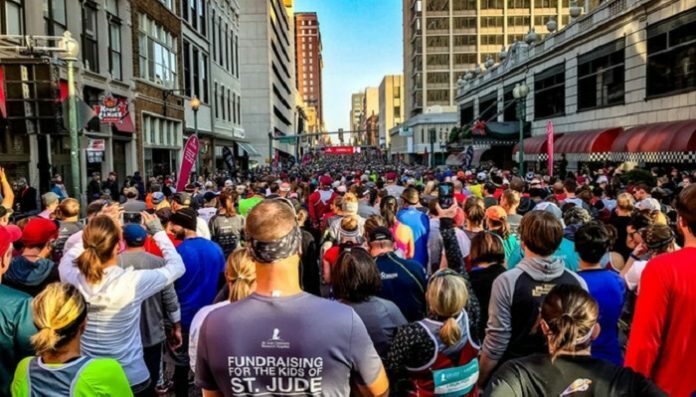 Professionals and amateurs alike take on the challenging terrain in hopes of being the winner as an average of 500,000 spectators come out to see this amazing race and to cheer on friends, family, and strangers alike. Each year, the amount of participants increases. In 2013, the total number of registered participants was 26,839. In 2014, after the bombing, the total number of registered participants actually increased to 35,671. After 2014, the registration stayed near 30,000. It will be exciting to see how many people turn out this year. Some well-known faces will appear among the anticipated 30,000 runners this year. NASCAR driver Jimmie Johnson, Olympic Gold Medalist Shawn Johnson East and her NFL Athlete husband Andrew East, Gold Medal Marathoner Joan Benoit Samuelson, and Former Patriots linebacker Tedy Bruschi, one of the world’s best ultrarunners Scott Jurek, Supernatural actors Jared and Genevieve Padalecki, and chef Palak Patel. Will Ferrell who ran with a finishing time of 3:56:12 in 2003. Mario Lopez who ran with a finishing time of 5:41:42 in 2002. Valerie Bertinelli who ran with a finishing time of 5:14:37 in 2010. Ali Landry who ran with a finishing time of 5:41:41 in 2002. Harry Reid who ran with a finishing time of 3:16:00 in 1972. Lisa Ling who ran with a finishing time of 4:34:18 in 2002. Joey McIntyre who ran with a finishing time of 3:57:00 in 2013. Tedy Bruschi who ran with a finishing time of 5:26:02 in 2012. Michael Dukakis who ran with a finishing time of 3:31:00 in 1951. David James Elliot who ran with a finishing time of 4:57:23 in 2000. Ryan Sutter who ran with a finishing time of 3:36:02 in 2012. It’s not easy to become one of the many who completed this challenging trek. Will you join the bunch one day?